To me, Anthurium veitchii is one of the most amazing foliage plants in the world. The rippled leaves get 4 to 6 feet long and 6 to 8 inches wide. It can grow in a lose soil mix or as a epiphyte. The flowers are have a white spadix but is mostly grown for the foliage. 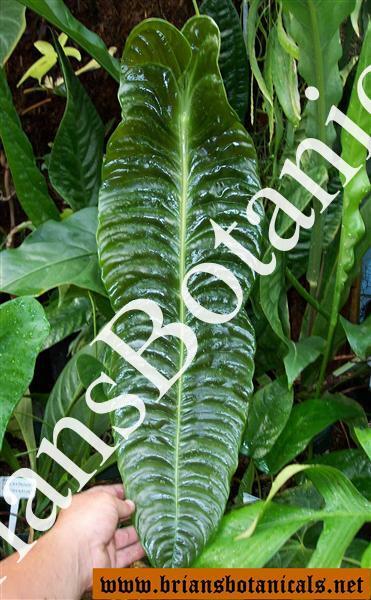 This plant is referred to as the King Anthurium by plant collectors. The plant does not like full sun but part shade and should do well indoors or in a greenhouse. Usually grown in 3 to 4 inch pots.